When it’s time to seek out the right SUV that’ll have you travel on-and-off the roads of Huntington Beach, Corona Del Mar, and Orange County, you’ve got some options. If you’re facing the 2019 Honda Passport vs. Jeep Grand Cherokee, you’ve got a choice between two capable vehicles. Both of these SUVs provide an immense amount of power and space for their respective drivers, but you’ll want to know more about how they differ in order to make the right choice. At Norm Reeves Honda Superstore Huntington Beach, we’re here to help drivers by providing them with this 2019 Passport vs. Grand Cherokee comparison. In this guide, you’ll learn all about what these vehicles include and how they differ so you can see which one is perfect for you! Despite looking very different, the new Passport and Grand Cherokee each offer similar engine options. The Passport includes a 3.5L V6 engine and the Jeep Grand Cherokee features a 3.6L V6. The Passport engine comes mated with a 9-speed Automatic Transmission with Shift-By-Wire and Paddle Shifters, while the Grand Cherokee includes an 8-speed automatic. As for the performance, both engines can exceed 275 horsepower, but the Passport leads in torque with 262 lb-ft vs. the 260 lb-ft that the Jeep Grand Cherokee is capable of. The Honda Passport and Jeep Grand Cherokee have some significant differences in cabin space. The Passport offers 115.9 cubic feet of cabin space vs. the 105.4 cubic feet of cabin space with the Grand Cherokee. These differences in space are particularly noticeable in the rear. The Passport offers 40.1 inches of headroom and 39.6 inches of legroom, while the Grand Cherokee only includes 39.2 inches of headroom and 38.6 inches of legroom. Another major difference with the interior is cargo capacity. 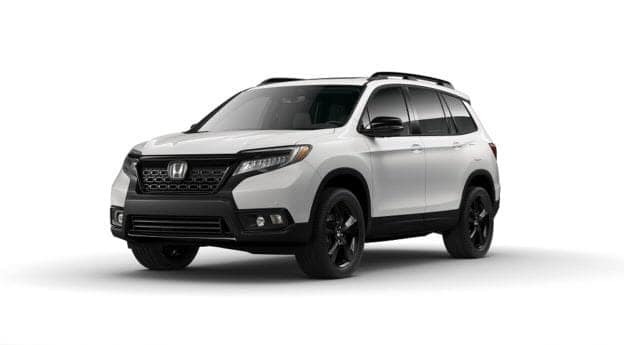 The 2019 Honda Passport features 41.2 cubic feet of cargo space, which can expand to 77.9 cubic feet when the second row is folded. The Jeep Grand Cherokee, on the other hand, only includes 36.3 cubic feet of cargo space that expands to 68.3 cubic feet when the rear seats are folded flat. While both vehicles offer their own unique style, there are some variances that could affect your decision. The Jeep Grand Cherokee hasn’t been updated in a while, and its current appearance seems stale and uninspired. The Passport, on the other hand, has a rugged style that’s aligned with its performance and off-roading capabilities, giving it a stylistic edge over the Jeep Grand Cherokee. At Norm Reeves Honda Superstore Huntington Beach, we hope that our Passport vs. Grand Cherokee comparison gave you the insight you need to learn more about what these SUVs offer and how they differ. But while you’re aware that the Passport offers you more, you may find that dropping by for a closer look and some experience in the driver’s seat to be the deciding factor. 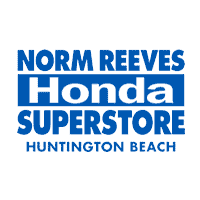 Schedule your test drive with us at Norm Reeves Honda Superstore Huntington Beach! We’re here to help drivers in Huntington Beach, Corona Del Mar, and Orange County find the vehicle that’s perfectly suited to them!